As we are preparing to celebrate Violet’s third (and last birthday in California…tear), I decided to share a simple and affordable way to jazz up your home and parties! 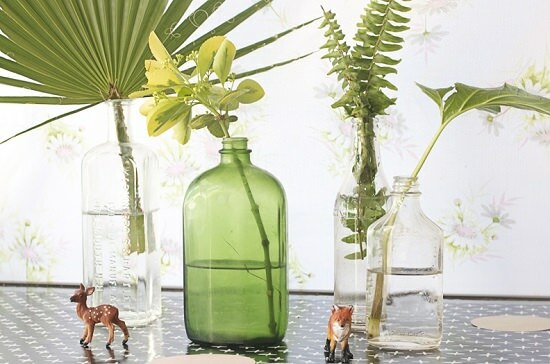 I feel blessed that we have so many different arrays of plant life in our yard alone, so I decided to pick a few and display them in an assortment of flea market bottles! 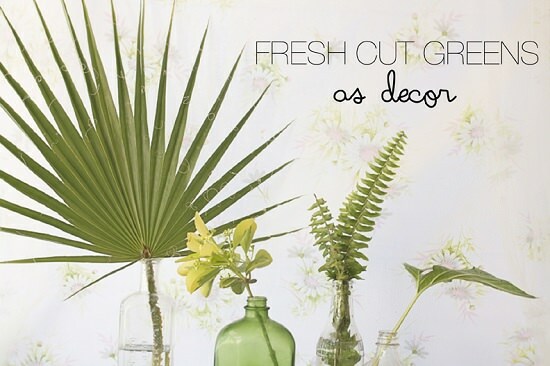 Dare I say I almost prefer the simplicity of fresh cut greens over flowers? Don’t get me wrong, I love a good bouquet of peonies, but there is something to be said about these little guys that you don’t hear all that much: they are awesome! 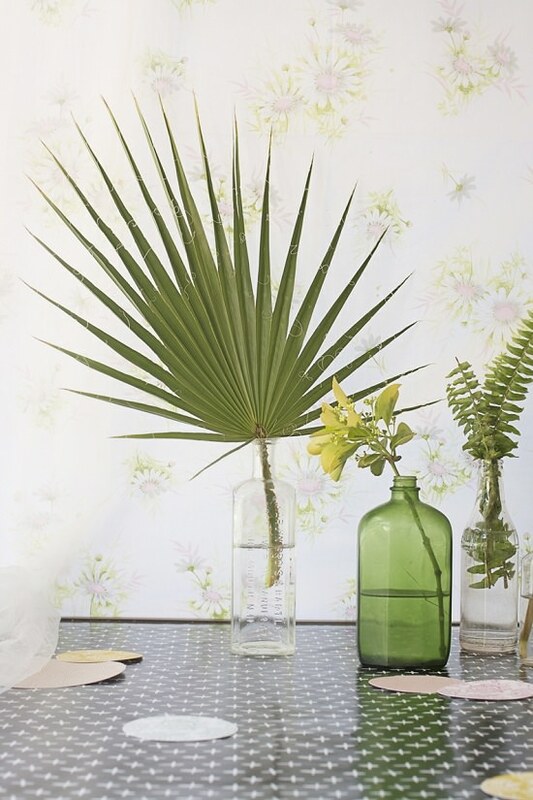 I originally stumbled on this fabulous idea on Apartment Therapy (no big surprise) and couldn’t get it out of my head. I thought it would be the perfect time to give it a try for V’s Flora and Fauna party and I am so glad I did! They add so much life to the whole thing! Best part is, I can transfer them right into my home when I’m all done with the party. I’ve already picked out a few spots and love how they give the space that pop of green! A perfect way to add that fabulous color might I add! 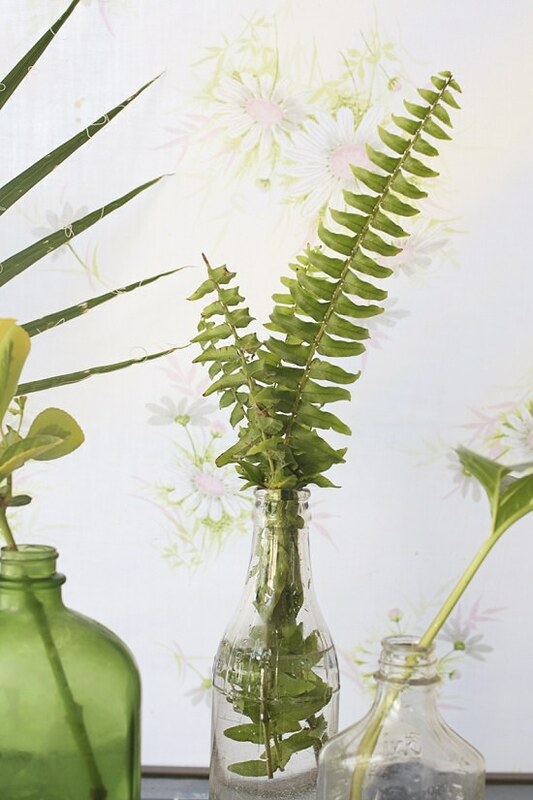 What do you think of incorporating simple greens in your home or your next party? I’ll be sharing more of Violet’s birthday next week, so stay tuned!